Well, it’ll either straighten your back, or rip your head off. 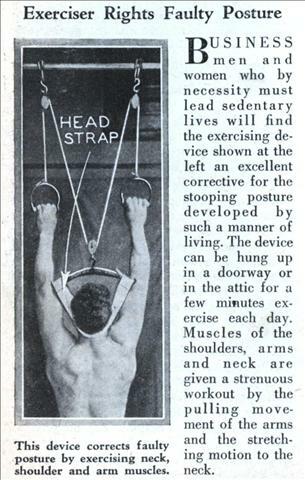 BUSINESS men and women who by necessity must lead sedentary lives will find the exercising device shown at the left an excellent corrective for the stooping posture developed by such a manner of living. The device can be hung up in a doorway or in the attic for a few minutes exercise each day. Muscles of the shoulders, arms and neck are given a strenuous workout by the pulling movement of the arms and the stretching motion to the neck. 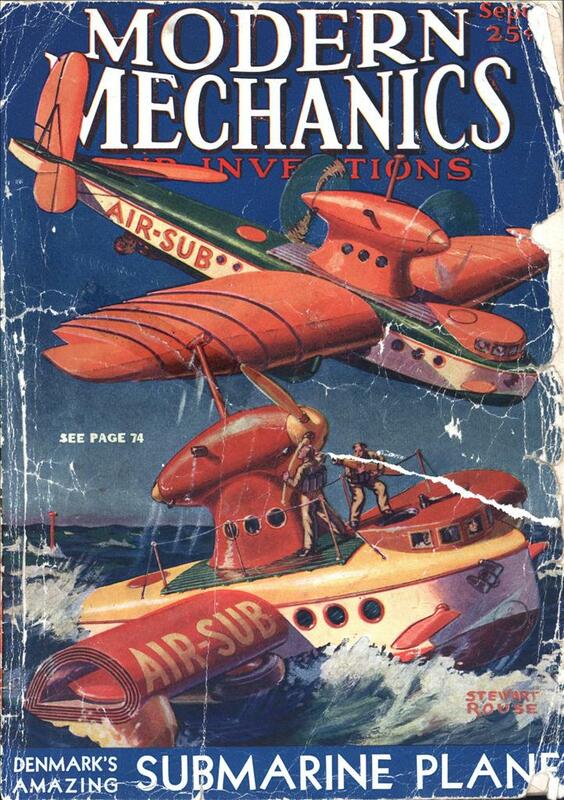 An early suicide machine? seriously, WTH?